Opioids provide immediate comfort to a person in pain, but result in other miseries when prescribed on a long-term basis. Our policy towards opioids over the past two decades has had disastrous results—leading to the worst drug epidemic in U.S. history. Enough opioids are prescribed in the United States each year to keep every man, woman and child on them around the clock for one month. 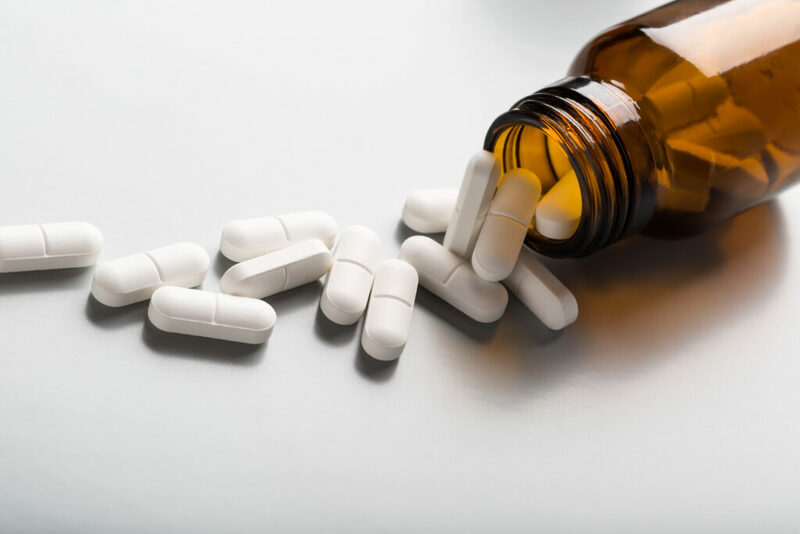 The Centers for Disease Control and Prevention (CMS) report that for chronic non-cancer pain, opioid dependence occurs in 26 percent of patients using them. One out of every 550 patients started on opioid therapy has died of opioid-related causes a median of 2.6 years after their first opioid prescription. All told, hundreds of thousands have died and millions have developed problems with dependence, misuse, and addiction over the past 20 years. Yet, over this period, reports of pain in America have not gone down. Clearly, what patients and doctors have informally thought is helping has actually been harmful. It is hard to believe that medicine, which prides itself on empiricism, could have taken such a wrong turn. Here we discuss how we arrived at the crisis, policies that have been tried thus far, and options to address the crisis moving forward. American historian Keith Wailoo notes that because pain is a private experience about which we carry on a public discourse, treatment is often influenced less by the real needs of the patient in the exam room than it is by the political and social values of the time. This idea of “pain as politics” fits the crisis. Leaders in palliative care championed opioids with backing from the pharmaceutical industry as a way to raise awareness and lessen symptom inequality caused by pain. This effort was first undertaken at the end-of-life, where pain was seen as an unnecessary injustice. Later, in the 1990s, this thinking was extended to non-cancer chronic pain. During this period, doctors were told that to not treat pain aggressively was “unethical.” Assessing pain (e.g., “the fifth vital sign”) and palliation of symptoms with opioids became overriding concerns. Prescribing opioids became a gesture that made clinicians feel good that they were helping, but without consideration of rational concerns and more systematic evaluation of patient long-term outcomes. To address the threat of addiction, the medical community embraced “safe use” policies and “abuse deterrent” pills. These approaches engendered all-or-nothing thinking: Millions will benefit from opioids and the few who will become addicts and try to abuse the drugs can be either weeded out or thwarted. None of this had an empirical basis, nor did it consider the real danger of addictive substances—that past consumption raises current consumption. Rather, it was motivated by a desire to broker a fair and just relationship between the person in pain and society. In the end, this desire was narrow. It aligned physicians with their patients’ suffering from pain, but not with these same patients when they developed an addiction or died of an opioid poisoning. To move forward, we must acknowledge that this was poor science in service to pain advocacy and that prescribing opioids liberally was a harmful idea. Opioids are best used for short periods of time to treat acute pain, for the treatment of cancer and at the end of life. In other cases, they may become appetitive and easily habit forming, often leading to harm in patients’ lives. Habits of use start with the alleviation of pain and feelings of euphoria. Later, opioid-opposing physiological responses reinforce continued use to avoid withdrawal. During this time, tolerance manifests—the patient requires higher doses to achieve the same effect. The result is a strong demand for opioids. In West Virginia, for example, an area hard hit by the crisis, doctors prescribed 780 million hydrocodone and oxycodone pills between 2007 and 2012. Over these six years, 1,728 West Virginians fatally overdosed on those two drugs alone. There is no way to medically justify the prescription of three-quarters of a billion pain pills within a small state like West Virginia with a population of 1.85 million. Most of these prescriptions reflected problematic opioid use brought on by tolerance to the drug, harmful misuse, or addiction (e.g., opioid use disorder). CMS has recently put new restrictions in place to prevent overutilization of drugs in Part D claims. Massachusetts, Connecticut, New York, Maine, and Rhode Island have imposed a seven-day limit on prescribing of opioids to opioid-naïve patients. These are hard policies that will make a difference in preventing misuse moving forward, but that impinge on the autonomy of medical practice. We discuss several soft policies that will preserve physician autonomy and help avoid overprescribing and curb addiction. Effective use of emergency departments. A mistaken belief is that vast majority of persons at risk for an opioid poisoning are young persons without a prescription. However, people ages for 45-64 account for 40 percent of all drug overdose deaths. The majority of these decedents received a legitimate prescription for opioids through orders at a doctor’s visit, pointing to the crisis being largely a problem of medical decision-making. Reducing population exposure will require changing physician behavior: encouraging far fewer “new starts,” shortening initial durations of prescription, lessening dose escalation, and slowing tapers for chronic users who are not experiencing any functional gain. One promising approach leverages the newly built electronic medical records infrastructure in the U.S. that has grown through federal meaningful use incentives. Electronic health records could “nudge” prescribers away from exposing opioid-naive individuals to the drugs when CMS’ guidelines recommended opioids should be avoided. Default schedules to taper opioids when they have resulted in inadequate pain reduction or functional impairment could also be implemented. Lower starting doses could pre-populate order screens. Standing orders for physical therapy and mental health screening could be built to trigger during qualifying pain visits. Such nudges have been applied successfully to curtail overuse of antibiotics. Demand for opioids relates to our misconception of chronic pain. While acute pain can be easily apprehended, chronic pain may have no external cause or clear precipitating event. Often patients are eager to pursue information provided by medical imaging tests to get answers. Yet, studies show these tests are non-informative when pain is the only symptom; for example, healthy people without back pain show signs of disk degeneration, herniation, or nerve impingement at high rates. The medicalization of chronic pain can increase harm, because patients hold onto, as a plausible story, the idea that their pain has a strict pathophysiological basis that can benefit from painkillers. It will be difficult to sway patients away from choosing narcotics without helping them address their desire to make sense of why it is they hurt. Education that in the medically stable patient “hurt is not harm,” use of physical therapy, and the development of self-management skills will help patients learn to manage their pain and lead more productive lives. Successful programs do not have to be elaborate or expensive. A recent example used outpatient nurse visits to deliver a behavioral pain management program. The program was effective in reducing pain and increasing patient function. In order to increase the supply of such treatments, innovative reimbursement initiatives by CMS could encourage use of these evidence-based treatment options and allow health providers to acquire familiarity with non-pharmaceutical treatments, such as a shared savings program targeting accountable care organizations (ACOs), where the financial incentives would be tied explicitly to patient functional outcomes. CMS could also develop a functional status benchmark against which ACO performance is measured. Organizations that meet or exceed quality performance standards would receive a portion of the savings they generate. Such incentives would increase the use of more effective integrative treatments for pain. Emergency departments have become a major source of care in the U.S. healthcare system. At present, the nation’s 5000 emergency departments provide over 125 million visits annually (about 12 percent of all outpatient visits). Further, emergency departments disproportionately serve vulnerable patients and may be the only effective site of care from which to reach such individuals. Several public health campaigns, such as HIV screening, have been successful in leveraging this unique setting. Opioid abuse-related emergency department visits and hospital admissions have skyrocketed in recent years. Currently it is estimated that there are over 300,000 annual emergency department visits for opioid overdose and the emergency department community has responded aggressively. Within the medical community, some of the most stringent prescription guidelines aimed at reducing opioid misuse have emerged targeting emergency department prescribing. In fact, narcotic overdose is the 8th leading cause of death within one week of an emergency room visit, typically following a musculoskeletal pain visit. Emergency department-oriented policies to date have primarily focused on reducing high-dose opioid prescribing, particularly for patients with chronic pain or those with chronic opioid use. In this context, aggressive use of prescription drug monitoring programs should be encouraged. These approaches have been relatively successful but may be approaching a ceiling effect as recent research suggests that now, only 2-4 percent of prescription opioids originate from emergency visits. To address the crisis moving forward, emergency departments can broaden their collective response in two ways. First, serious efforts should be made to reduce initial opioid prescribing to people at-risk for developing opioid dependence. Recent evidence has fairly convincingly demonstrated that emergency department opioid prescribing, even for patients with limited previous exposure, facilitates long-term opioid use. Policies that encourage the use non-narcotic pain management strategies, including use of brief counseling on the expected course of pain and physical therapy, should become standard in the emergency department. Second, people with opioid use disorder, regardless of their reason for their visit, should be aggressively treated for this condition. In fact, there are three proven medically assisted therapies (MAT) to treat substance use disorder: methadone, buprenorphine, and naltrexone. Buprenorphine, while itself an opioid, is being used as a means to address addiction. It may reduce cravings and prevent withdrawal while preventing fatal overdose if excessive amounts of other opioids are used. In fact, a recent trial of 309 opioid-dependent individuals in the emergency department found that MAT (with buprenorphine in this case) was feasible and effective. Eighty-seven percent of the MAT group was engaged in ongoing addiction treatment at 30 days compared with only 37 percent of those offered a referral. The current Administration and Congress should fund: development of validated opioid dependence screening tools for the emergency department; training to emergency department staff on how to address potentially opioid dependent individuals in an ethically neutral manner; expand referral sources for outpatient addiction specialty clinics (particularly for uninsured patients or those with Medicaid insurance); reduce administrative barriers to becoming a Buprenorphine prescriber; and develop a financial reimbursement model for prescription opioid screening or treatment in this setting. When this crisis resolves, one won’t be able to point to a particular person who didn’t become addicted to opioids or who didn’t die because their doctor was a judicious prescriber — and this is part of what makes ending the crisis so difficult. Unlike treating pain, there is no identifiable beneficiary when opioids are used with caution. Tolerance to opioids, withdrawal, as well as misuse, suggests that high rates of past consumption affect present consumption of the drug. To deal effectively with the crisis will require reducing consumption to prevent future problems. To treat current persons with opioid use disorder or problematic use who do not meet the full diagnostic criteria will require use of medication assisted therapy. Other approaches to pain management that do not involve drugs are safer and as, if not more, effective.